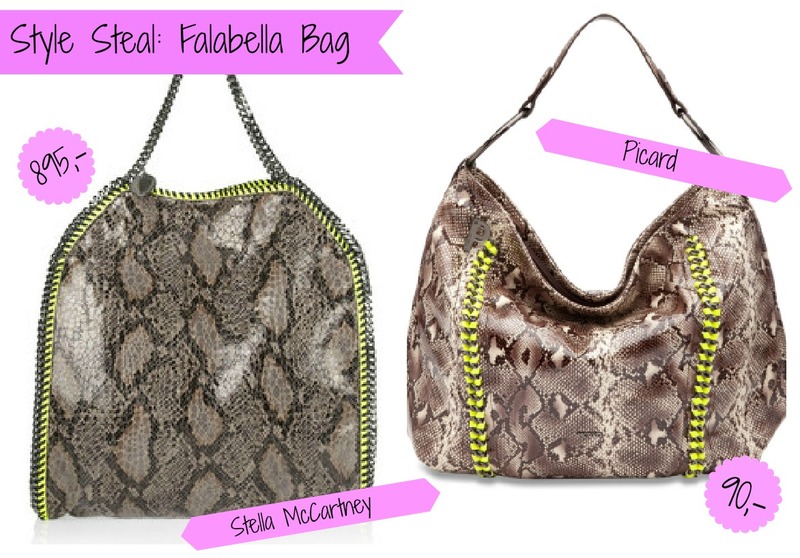 I'm obsessed with the beautiful python Falabella bag by Stella McCartney. I've been eyeing it for a while and honestly thinking about splurging on it with next months paycheck. The python print with a touch of neon and some chain details is super cute! It's perfect as a casual purse and it's color will work with tons of outfits! I actually like the steal version more, great find! I love the hint of neon...both are really cute. Love those bags. So amazing!